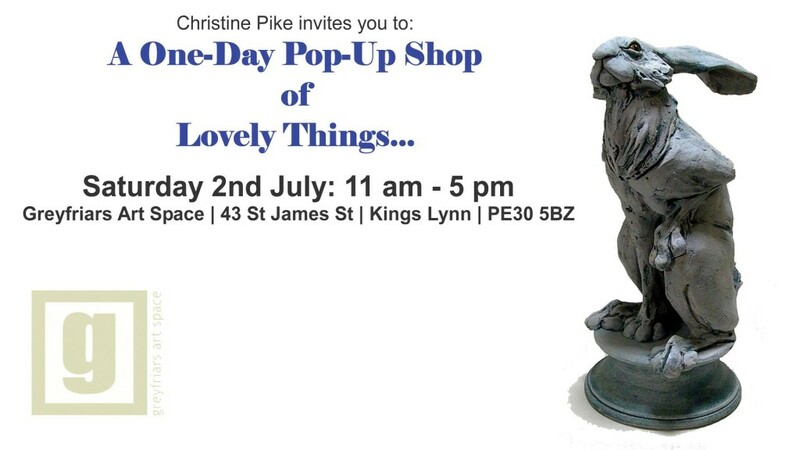 A wonderful pop-up shop for one-day-only!!! Sculpture, lino prints, tiles, cards from the studio of Christine Pike. Available at the Greyfriars Art Space for one day. Christine will also be demonstrating her sculpting techniques.